The phrase "light is the great medium of revelation" was first expressed in a 19th century sermon by Princeton theologian Charles Hodge. The Tetons and The Snake River by Ansel Adams, 1942. This "revelation" is not of the divine, or of a self-serving deity, rather is self-evident phenomena and beauty revealed to- or discovered by- those who make a concerted practice of seeing, hearing, feeling, tasting, and touching the natural world. Light encompasses all gradations of luminosity ― between blinding highlight and the dimmest shadow. Ansel Adams photographed the American West revealing its sublime beauty for generations to contemplate. Adams was a student of light, both as an aesthetic and scientific pursuit (cf. The Zone System). “Through its moods: noon brilliance, first light, dawn; through the illusion of substance: snow, charred wood, stone and the magic of a place and a moment, he conveys universal experience." 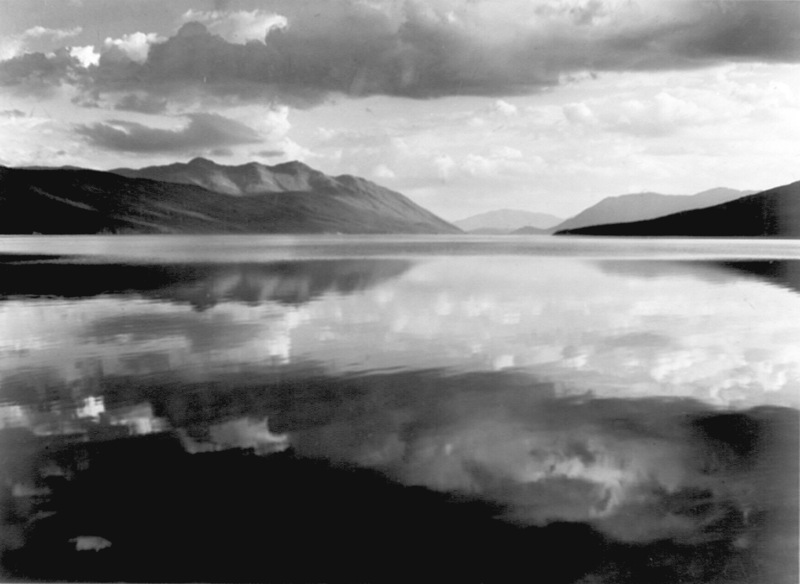 McDonald Lake, Glacier National Park by Ansel Adams 1933-42. Ansel Adams, Photographer, 1958, by Nancy Newhall. Narrated by Beaumont Newhall. Princeton Sermons, Outlines of Discourse, Doctrinal and Practical, 1893, by Charles Hodge. The Creative Process of Ansel Adams Revealed in 1958 Documentary. Open Culture, 20 Feb 2013.